The health and social care sector makes up a huge proportion of the jobs market in the UK, with the NHS alone employing 1.5 million people! Regardless of whether you go into nursing or social work, all of these careers have one thing in common - they’re incredibly rewarding. At The Sheffield College, we know that working in the health and social care sector can be challenging, so we do everything we can to prepare you for work in the industry. One of the best ways we can prepare you for employment is to make sure you’re familiar with the environment you’ll be working in. That’s why our campuses feature a state-of-the-art emergency care training suite, complete with a mock hospital ward, patient care manikins and ultrasound machines. What’s more, our tutors are experts in their professional specialisms, with loads of experience under their belts. Who better to give you advice and guidance on getting into the career you want than someone who has worked in that role? You’ll also benefit from the expert knowledge of industry experts and have the opportunity to take part in class study visits to supplement your learning. Our study programmes also have an element of work experience, so you can feel confident that you’re prepared for the working environment once you finish your studies. Having that experience on your CV will make you stand out to potential employers in this competitive industry. Our dedicated teaching staff will be key to your success. Many of them have worked in the industry in a variety of roles, so they can pass on their knowledge and expertise when it comes to handling real-life situations. We also make sure that they keep up to date with the latest regulations and working practices, so that what you're learning in the classroom will be relevant when you come to start work. Our health and social care offer spans three campuses, each of which host a range of facilities. These include dedicated classrooms, a mock hospital ward complete with training dummies, ultrasound machines and a state-of-the-art emergency care training suite. We aim to replicate the working conditions of the health and social care industry as closely as possible so that you can develop the skills you'll need when you come to enter employment. We want you to feel confident in your abilities so that you can jump straight into a job. Why not sign up to attend an open day so you can see for yourself? At The Sheffield College, we know that hands-on experience is vital not only in helping you to understand the theoretical learning, but also in terms of making you stand out from the crowd when it comes to applying for jobs. That's why all of our health and social care courses have a strong focus on practical experience so that you will feel confident in your abilities when you come to start work. We encourage all of our health and social care students to undertake work experience placements as part of their study programme, and our brilliant tutors can offer you help and advice when it comes to arranging a placement. The health and social care sector is one of the largest employers in the UK, and it doesn't show any signs of slowing down. 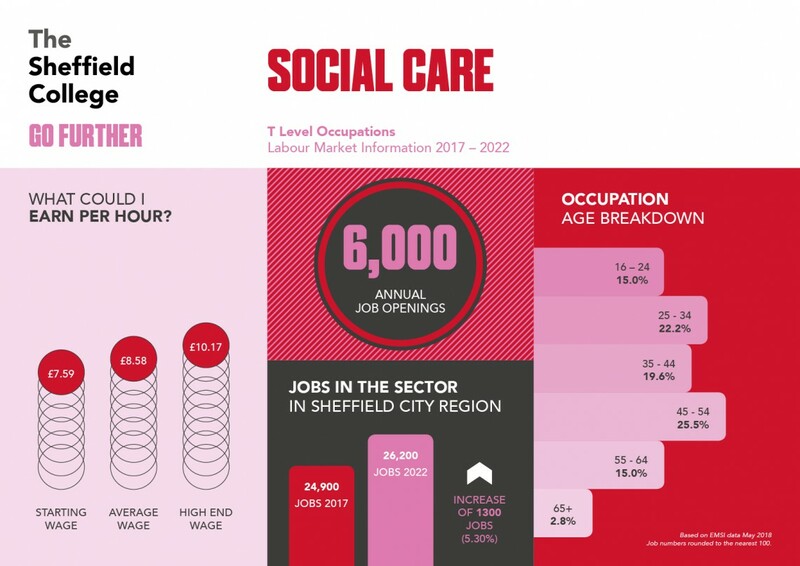 In fact, there is expected to be an increase of 1300 jobs in this sector by 2022, and that's just in the Sheffield City Region! The employment opportunities in the health and social care sector are hugely varied, so there's a very good chance you'll find a job that you love once you finish your journey with us. If you want to find more information about all of the different job roles in health and social care you can use our online platform, Career Coach. There's also loads of information about potential earnings, job vacancies and tips to enhance your CV too. 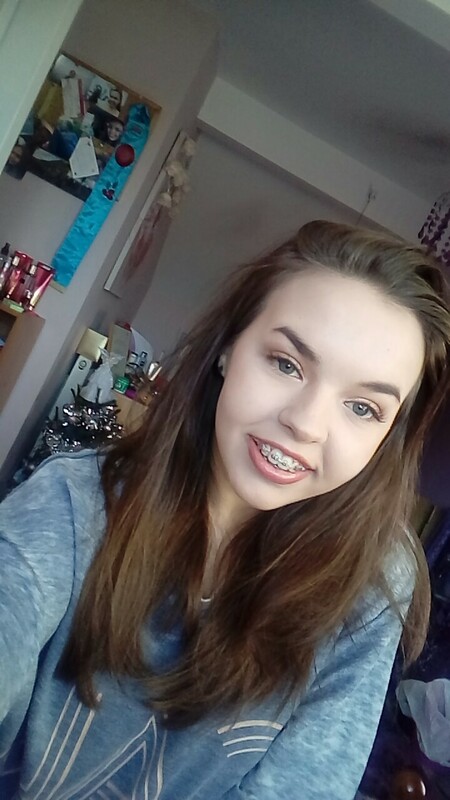 "The tutor mentors were really good at giving you the time and support that you need; they definitely go beyond what is expected of them. "